Founded in 2006 when Anthony Eskinazi was just 23 years old, ParkatmyHouse seemed ever so slightly crazy at the time. Who would rent out their unused private drive way or church car park over the Internet? It turned out plenty of people would, and long before smartphone apps came along to make the whole process simpler, Eskinazi was plugging away at his vision, making it the UK’s first ‘sharing economy’ business. Recently rebranded as JustPark, this parking marketplace now has 500,000 drivers who choose from over 100,000 parking spaces in the UK, and it has plans to expand abroad. But unlike ‘jerktech’ startups such as MonkeyParking, Sweetch and ParkModo, JustPark probably won’t attract the same level of controversy, given that it allows private venue owners to sell parking, not other drivers who just vacated a spot on a public road. Today that vision pays off with a vote of confidence from the UK’s most active early-stage VC and the launch of its first app that lets drivers find parking, and an in-car integration with a major car marque. The Index Ventures fund has invested an undisclosed amount in the company. Although the amount is not known, we do know it is from the main fund, not Index Seed, so it would be a small number. JustPark has previously taken a £250,000 investment from BMW i Ventures, the venture capital arm of BMW that invests in startups working to improve mobility in urban areas. BMW i Ventures took a strategic stake in JustPark in 2011. It’s therefore no surprise that Mini, the BMW-owned car brand, will be the first to integrate the JustPark app, with plans by BMW to roll out the app across its entire range later this year. Of course, you can also download the JustPark app to an iPhone right now. The in-car app for Mini has been designed to be used while on the move, having undergone safety testing by BMW laboratories in Munich, Germany. The release of the JustPark in-car app follows the recent launch of Apple’s CarPlay and Google’s Android-based Open Automotive Alliance, with the GSMA (the trade body for mobile operators). It’s estimated that there will be over 60 million connected cars on the road globally in the next five years. 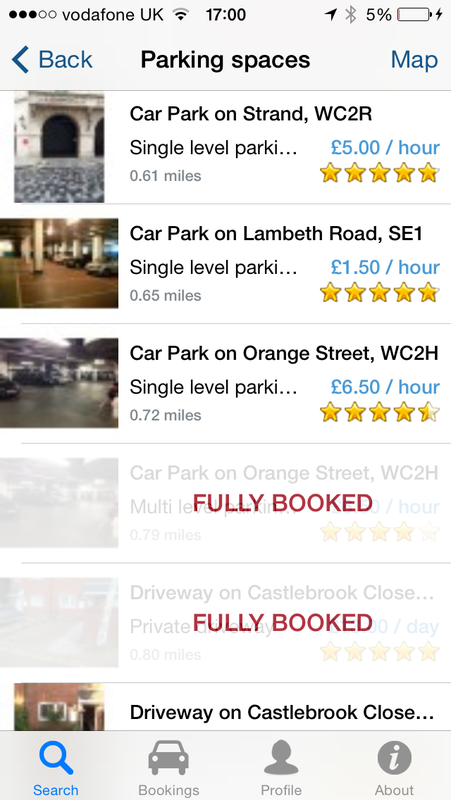 Using the JustPark app, drivers can find, book, pay for and navigate to a parking space instead of circling around. Its 100,000 parking spaces across the UK include car parks, hotels, domestic driveways and pubs. Once you choose and pay for a space, you are given a map directly to it. JustPark work with owners of spaces in different ways. “Sometimes we will lease spaces up front and rent them out through our platform (these will be sign posted) or we will work on more of a pay as you go basis. For instance, car parks will give us 10 spaces and ensure that there are always 10 spaces available for justpark customers,” says Founder Eskinazi. Parking remains a big pain. JustPark estimates that in the UK alone the average driver wastes 106 days of their life searching for a parking space, costing the UK economy approximately £6.3 billion every year in lost productivity, and adding 30 percent to road traffic.